Hi my name is Jose, and I am your Fort Lauderdale local electrician. In the picture above, I am getting ready to install a generator in Birmingham, Alabama. I would like to take a moment of your time and introduce myself, so that if you hire me, you would have an idea as to who am I, and what types of skills I have. This way you can decide if I am a good fit for your situation or not. I have ten years of experience in the electrical field. I have been practicing my craft since 2003. Starting in 1994, as a young man, I attended a technical institute in San Salvador, El salvador. In the course of a two year program, I took basic electricity, basic electronics, electromagnetism, advanced welding, electrical theory, technical drafting, and other essential electrical studies. Later, in 1998, your Fort Lauderdale electrician, moved to the US, to the state of Florida, establishing myself in the Fort Lauderdale area. I held several jobs until 2003, when I had my first opportunity to enter the electrical field as an apprentice. I worked for several electrical contracting companies as I started hands on training in the electrical field. I had the opportunity to work for many talented electricians, who took their time to train, and teach me the right electrical skills to properly craft electrical installations. They also tought me electrical code applications, and general skills necessary to be a successful electrical practitioner. During those years I learned about residential electrical installation practices, commercial electrical installation norms, and had great deal of training in troubleshooting and diagnosis of electrical faults. I learned to install romex, electrical panels, electrical lighting circuits, low voltage applications, installation of electrical conduit, reading of blueprint, installation of electrical receptacles, switches and all types of electrical devices. Later during those years, I started taking more responsibility for wiring entire houses. Soon I was wiring large custom homes that needed several months to be completed. As I wired those housed I also learned about home automation for lighting, entertainment, and communication. As I continued to build my skills, I learned to perform all types of electrical repairs. In the process I gained a great deal of knowledge, and developed a certain pride in the work that I do. 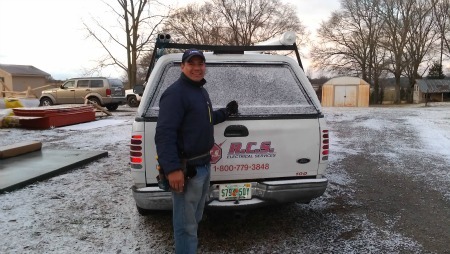 In May 2008, I started working for RCS Electric. Since I started working here, I have focused most of my energy in the installation, repair, maintenance, and sales of home standby generators. I am now, after many years, a very well trained generator specialist. In the years since started working here, I have gathered a tremendous amount of information and knowledge about generators. I can be a great asset to you, if you are interested in acquiring an electric generator. 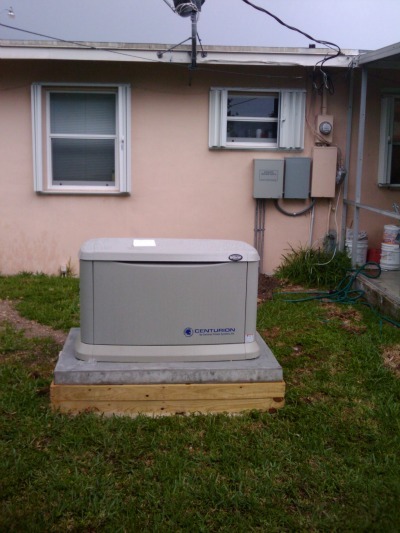 If you need to repair your generator, I also can be of help to you. Your Fort Lauderdale electricain also have lots of experience rewiring homes, bathrooms, and kitchens. I love to rewire your kitchen if you are thinking about upgrading your cabinets. I can help you with special recessed lighting and or under counter illumination for great surface lighting on your countertops. 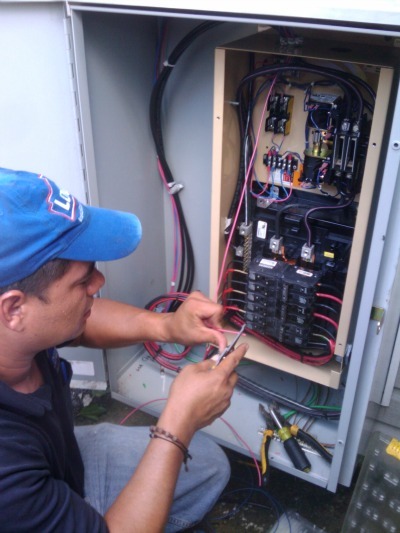 I did my academic electrical training in El Salvador, which is where I was born. I Earned my high school diploma there, then attended Instituto Technico deEx Alumnos Salesianos 1994, San Salvador, El Salvador. I like wring new houses, installing generators, designing and installing landscape lighting, and wiring boat docks, and boat lifts. I also enjoy general electrical repair, kitchen wiring, electrical service upgrade, and general repair calls. I also enjoy wiring new or existing commercial buildings. One thing I would like to get involved in high voltage wiring. I would love to have an opportunity to do work in sub stations, or electrical power plants. Mostly, however, I just enjoy helping others. It just gives me great pleasure to know that today I was able to help at least one person. It just makes me feel good to know that when I interact with you, and I solve your problem, you just have one less thing to worry about; and you can go on taking care of the the things that are really important to you. I go away feeling that today, I made your life just a little bit easier. 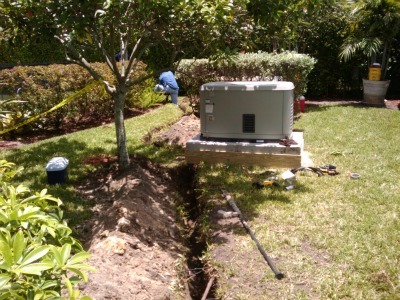 Your Fort Lauderdale Electrician entire service philosophy revolves around the idea that, as I complete my work with you, you will see that I have done it in a professional manner, at a reasonable price, and in a timely fashion. My goal is that you will be so completely satisfied with my performance, that when someone you know needs the services of an electrician, you would refer me. If leave you feeling that I did my absolute best to help you. And that I explored all ways to make my installation or repair as inexpensive posible, and I strived to compete the work in the least amount of time I could. Then I would feel that I met my goals for great service. If you are not satisfied about anything I have done for you, I would like you to tell me. I will stay until I have met your expectations.